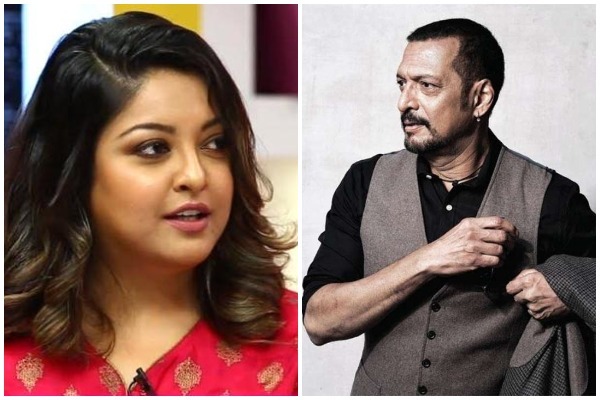 The Aashiq Banaya Aapne actor Tanushree Dutta accuses Nana Patekar for sexual harassment happened 10 years on the set. The ‘Me Too’ movement is creating headlines all around the world but India, it has just started to create ripples again. Talking about the revolutionary movement, ‘Aashiq Banay aAapne’ actress Tanushree Dutta revealed that she has been sexually harassed by a veteran actor of Bollywood. While talking with Zoom Tv, Tansushree recalled the incident that took place on the sets of ‘Horn Ok Pleasss’ in 2008. Former Miss India was signed up to dance in a song sequence of the movie and things turned sour for the actress soon after. On the sets, time and again, Tanushree went up to the director Rakesh Saran, producer Sami Siddiqui and choreographer Ganesh Acharya with the compliant of veteran actor Nana Patekar touching her inappropriately—but nobody paid any heed to her. Reportedly, things escalated soon when even after misbehaving with Tanushree, Nana insisted on doing an intimate dance step with her when the song sequence was supposed to the actress’ solo number. The former Miss India recalled how Nana would come in tell the choreographer to step aside and said, “I’ll teach her how to dance”. Furthermore, Nana was finding reasons to be on set when he was not supposed to! If this was not enough, according to Tanushree, Nana Patekar had her car vandalized! As per the interview, Nana Patekar called up this political party who has a reputation of lynching and causing damages on the film sets. To gain publicity, producers called media but instead of trying to stop them they asked the guards to close the gates and seal the premises. However, in her latest interview Tanushree claimed that industry insiders know Nana Patekar’s dark reality. As per her, it is a known fact that Nana has been disrespectful and crude towards women. This is not all— he has also beaten actresses and molested them.